Posted on Thursday, October 13th, 2011 at 7:40 pm. Birding was busy today along the coast between Winterton and Sea Palling, between 8am and 3pm, in light south-easterlies after a day of rain. First thing, Fieldfares and Redwings were trickling in, the sea was calm and Thrushes and Blackbirds were struggling across the water trying to reach land, some getting harassed by a young Pomarine Skua as they went. 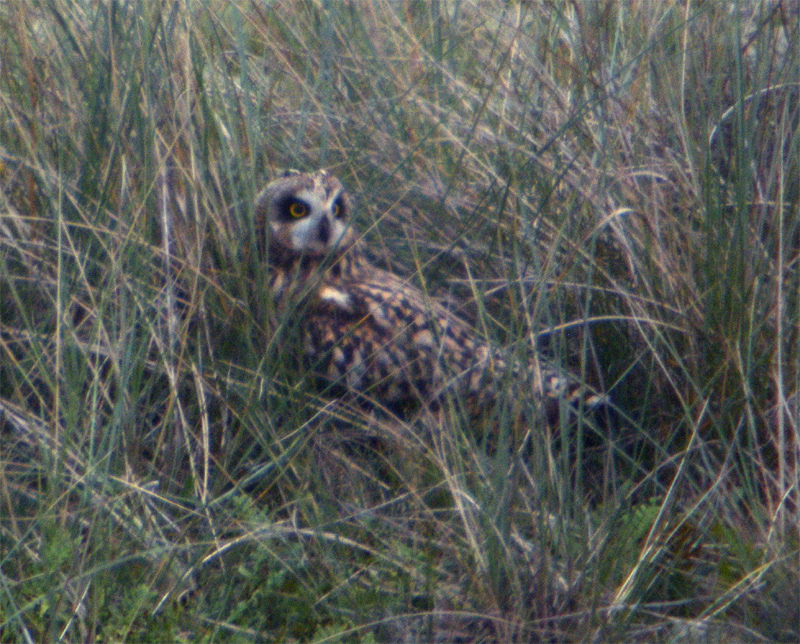 The first of nine Short-eared Owls were seen coming in off the sea, some of the big numbers hitting the coast today. A couple of Woodcocks were flushed, Bramblings and Lapland Buntings called overhead, and a familiar ‘tseeweet’ heralded a delightful Yellow-browed Warbler, obviously just in, and it offered close views and showed really well. A Short-toed Owl failed to see me sat just 10m away, and perched on a branch in front of me. Couldn’t get the camera out in time, but another one at Winterton posed well but not as close. Same again tomorrow?